MOSCOW (AP) — During the Cold War, Soviet scientists at a secret, high-security lab worked frantically to counter the latest U.S. chemical weapons. More than 40 years later, the nerve agent they developed apparently turned up in a quiet English town, where it nearly killed a former Russian spy and his daughter. 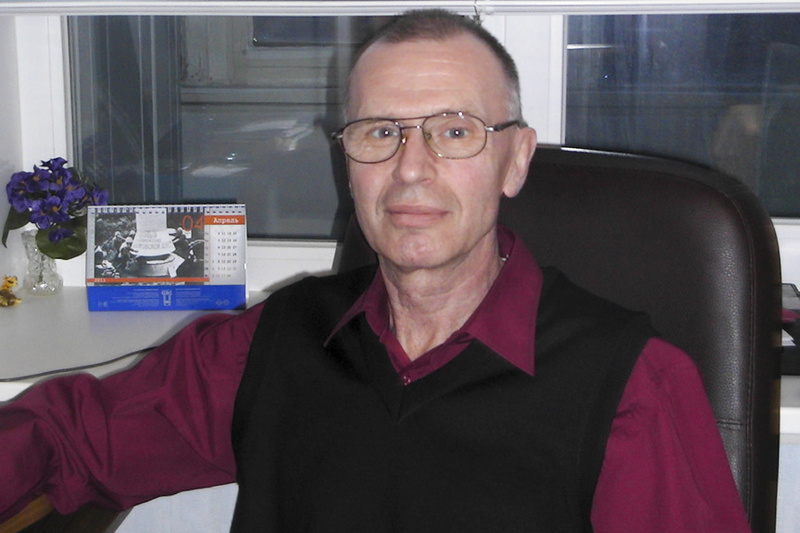 Vladimir Uglev said he was the scientist who in 1975 first synthesized A-234 — an odorless liquid deadlier than any other chemical weapons that existed at the time. "Hundreds of thousands could have been killed with what I produced," the 71-year-old former researcher told The Associated Press. Uglev detailed his deadly and secretive work, recalling how Kremlin leaders and the military were ambivalent about the chemical weapons program and eventually came to see it as burdensome and costly. And he described how the Soviet Union's collapse could have led to the lethal poisons falling into unscrupulous hands. Britain said that Russia used A-234, which is from a class of nerve agents known as "Novichok," to poison ex-double agent Sergei Skripal and his daughter, Yulia, in Salisbury, England, on March 4. Russia vehemently denied it was behind the attack, which touched off a diplomatic war between Moscow and the West. Russia has argued that the U.S., Britain and other Western countries acquired the expertise to make the nerve agent after the Soviet collapse. The Organization for the Prohibition of Chemical Weapons, an international watchdog group that analyzed samples in the Skripals' poisoning, confirmed British conclusions about the identity of the toxic chemical but not its origin. 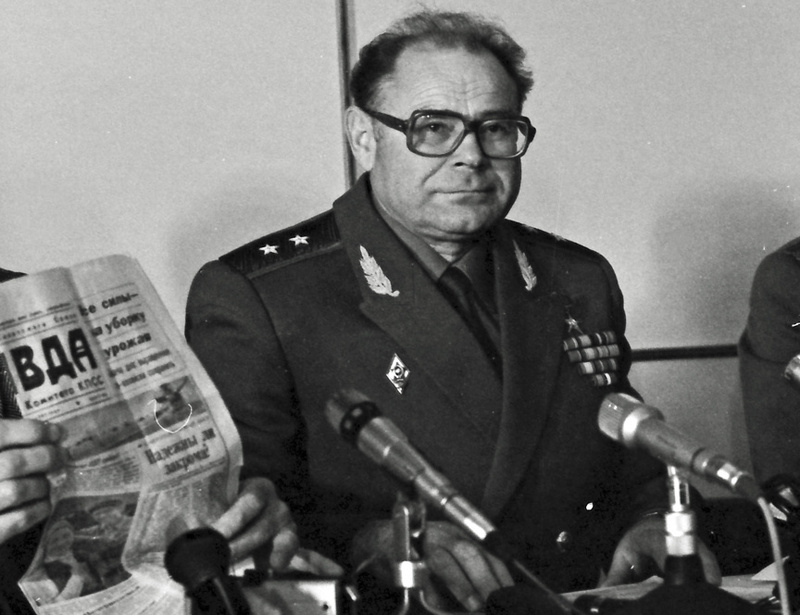 Uglev and Leonid Rink, another top scientist in the Soviet program interviewed by the AP, had conflicting theories. While Uglev said the nerve agent could have come from Russia, Rink echoed the Kremlin line, alleging British intelligence might have used a less-lethal substance and then faked the evidence to implicate Russia. Britain has denied that. Both scientists agreed, however, that it might never be possible to determine the nerve agent's source. The Skripals' improved health indicates they only got a minuscule dose and might have mitigated its effect by washing their hands, Uglev said. 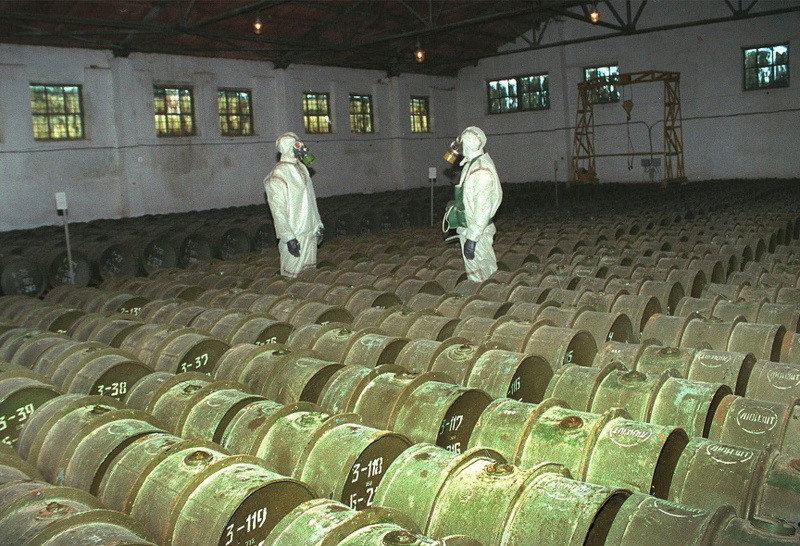 The Soviet program to design a new generation of chemical weapons began in the 1970s to counter the U.S., Uglev said. 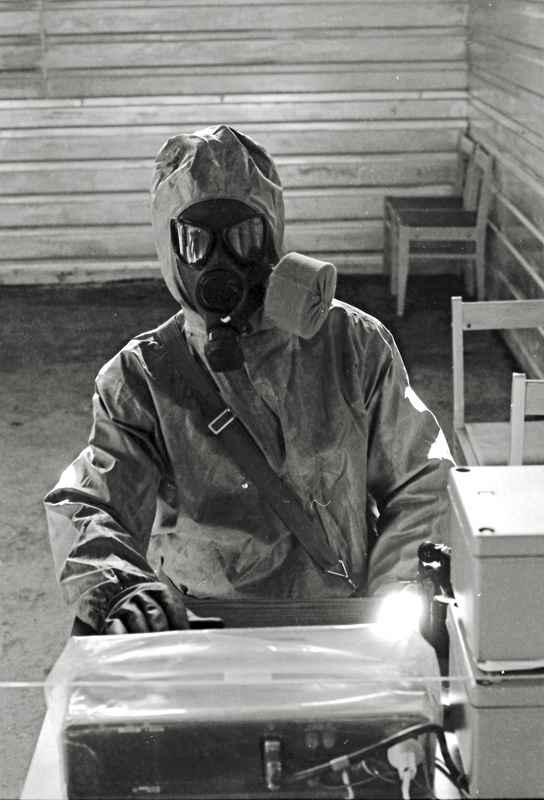 The Soviets wanted the equivalent of U.S. binary weapons — nerve agents made up of relatively harmless components that turned deadly when mixed. The main research lab was in Shikhany, a town in southwestern Russia that the KGB sealed off to outside visitors. The research was dangerous: Contact with just a few milligrams — the weight of a snowflake — were enough to kill within minutes. 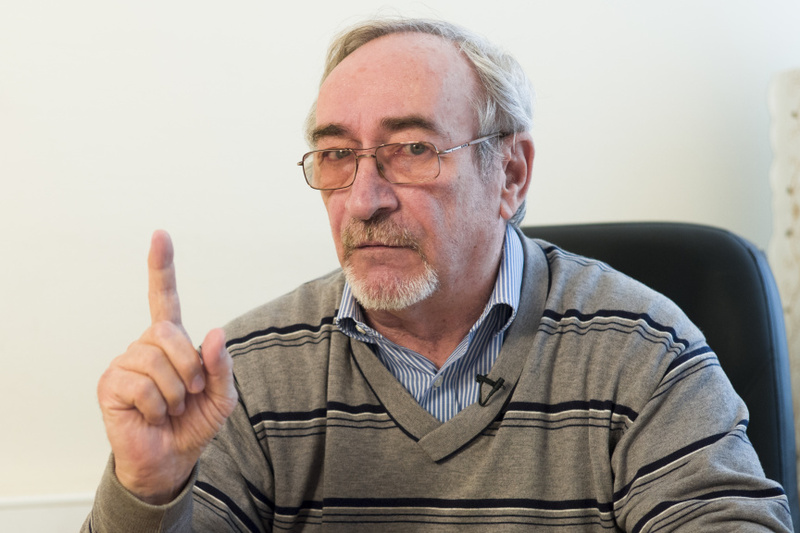 Uglev recalled once getting a tiny amount of a Novichok-class agent on his hand. "I rinsed my hands with sulfuric acid and then put them under tap water," he said, adding it was the only way to survive. Another researcher who was contaminated in 1987 died of multiple illnesses five years later. By the end of the 1980s, scientists developed a host of nerve agents and various precursors for binary weapons that the military collectively dubbed "Novichok," which means "newcomer." But the effort was only partly successful, Uglev said. While some nerve agents were deadlier than the U.S. equivalents, the main goal of developing feasible binary weapons wasn't achieved, he said. And although Soviet leaders wanted to counter the Americans, they weren't enthusiastic about chemical weapons in general, seeing them as excessive, when compared with Moscow's massive nuclear arsenal. When Mikhail Gorbachev came to power in 1985, his reforms and closer ties with the West led to cuts in many military programs and arms control agreements. The Novichok-class agents were only made in lab quantities and never entered mass production, Uglev and Rink said. 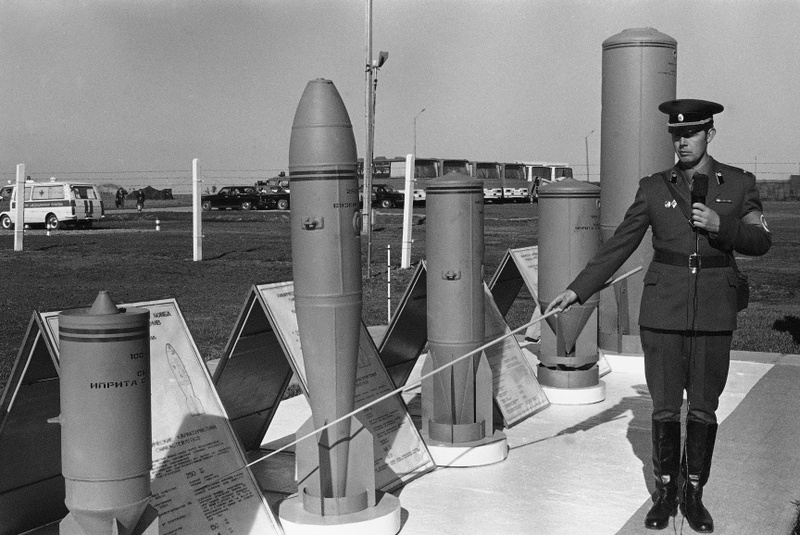 Uglev estimated about 100 kilograms (220 pounds) were made for research and military testing. "It's hard to imagine that any significant amounts could have been left anywhere, except in researchers' personal safes, where it was allowed to keep no more than 20 grams" — less than an ounce, he said. 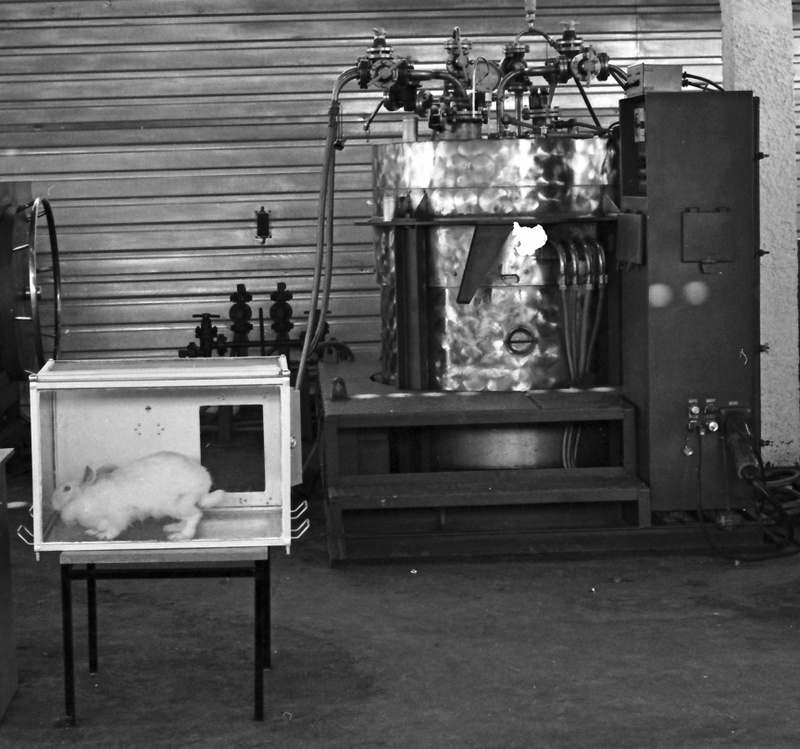 Samples were shared with other Soviet labs, and Rink said some could have ended up abroad after the Soviet Union's demise. Russia joined a global treaty banning chemical weapons and said last year it had finished destroying 40,000 metric tons of its Soviet chemical arsenals under close international oversight. Rink, who worked in Shikhany until 1997, said U.S. experts made sure that even small quantities of military-grade nerve agents and their precursors were destroyed. The U.S., however, couldn't prevent the expertise from spreading. Gen. Anatoly Kuntsevich, who directed the Novichok program, went to Syria, where he reportedly helped create a chemical weapons program in the 1990s. He faced criminal charges in Russia in 1995 for helping smuggle toxic chemicals to the Middle East, and Israeli officials reportedly urged Russia to stop the operations. Kuntsevich died in 2002 on a flight from Syria to Russia, and Israeli media suggested he was killed by Israeli intelligence. Syria agreed to dismantle its chemical arsenal in 2013, but Washington alleged that Damascus reneged on its obligations and used chemical weapons on rebels, most recently in Douma on April 7. Despite the U.S. oversight to dismantle Russia's arsenal, Uglev said some of the nerve agents could have fallen into the wrong hands amid the economic and political chaos of the Soviet collapse. In backing Kremlin assertions on the Skripals' poisoning, Rink argued that Russia would have used an untraceable poison, rather than Novichok, which he called "a brand name of Russian-made horror."